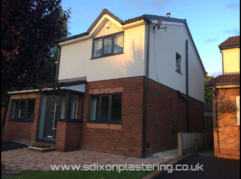 S. Dixon Plastering has been established since 2001. 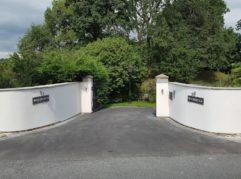 Me and my team of plasterers range from 10 to over 25 years of experience in quality plastering. 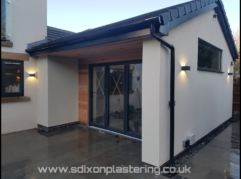 At S. Dixon plastering we strive to deliver the best and highest quality of plastering work from all internal and external finishes. 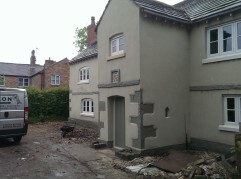 All our plastering work is fully guaranteed. 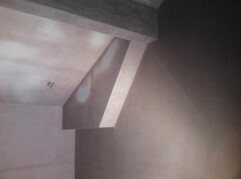 We are very clean, reliable and fully insured We cater for all aspects of domestic, commercial and industrial plastering. Skimming and over skimming of old walls, new plasterboard and wet plastered walls (sand and cement etc..) all patch and repair work, and heritage work. 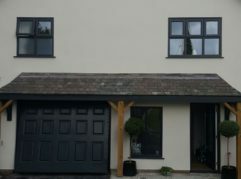 Smooth flat render finishes, Tyrolean, alpine, pebble dashing, wet dashing, k rend, and floor screeds. Dot and dab, timber/metal stud and ceiling frames formed, arches formed, tape and jointing, fire protection and sound proofing. All modern coving plain/cornice, all traditional moulding work (coving, ceiling roses, dado rails, corbels). 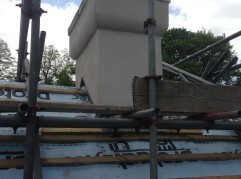 All types of tiling work is undertaken from bathrooms to kitchens. 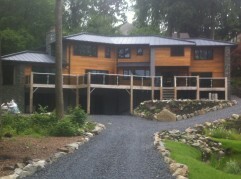 Recent Plastering Work Carried out! 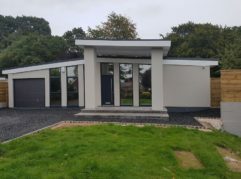 This is a parex colour rendering job in Preston Lancashire the colour used is mono Blanco. 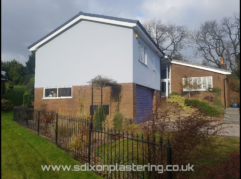 Parex sky blue coloured rendering. Preston lancashire.